Welcome to the Netherlands Away Kits shop. Here you can shop for the latest Netherlands away football kits. We only stock official soccer kits supplied to us from the team’s kit manufacturer, Nike. The Netherlands football team is often referred to as Holland or the Dutch team. The Netherlands has a reputation for playing fantastic football. In the 1970s they mastered the art of Total Football and secured a place in 2 World Cup finals, 1974 and 1978. Unfortunately for the Holland team and fans, despite reaching 3 finals they have never won the World Cup trophy. For the team and fans seeing a single on the Netherlands away jersey would be a dream come true. Can They make it happen in one of the upcoming tournaments? Order Netherlands Away Shirts, Shorts and Socks While Supplies Last! The Netherlands away football kits are usually white in color. The team has occasionally worn black or blue Netherlands away jerseys as an alternative choice. The home team colors are orange, this usually features as a trim color within the away football kits. 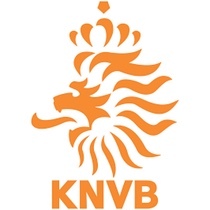 The Netherlands football team participates in the FIFA World Cup and UEFA European Championships. Support the team through these tournaments and all friendly matches by wearing a Netherlands away shirt. You can get yours at Soccer Box now while supplies last. We have the shirts, shorts and socks available, in kids and adult sizes, to fit children age from 6 years up to XXL adult. Soccer Box also stocks the Holland home football kits, along with a fantastic selection of Netherlands merchandise and accessories. In additional to Netherlands away kit we also stock football shirts and kits for hundreds of different teams. We stock jerseys for popular Everdivisie League teams, as well as Premier League football kits, La Liga soccer shirts and many more. We have been selling official football kits and team merchandise for over 17 years and pride ourselves on fantastic customer service. Make Soccer Box your number 1 shop for all your football shirts!